The DB500 is great for larger jobs and light industrial work. It is the most popular machine for blasting business operators. 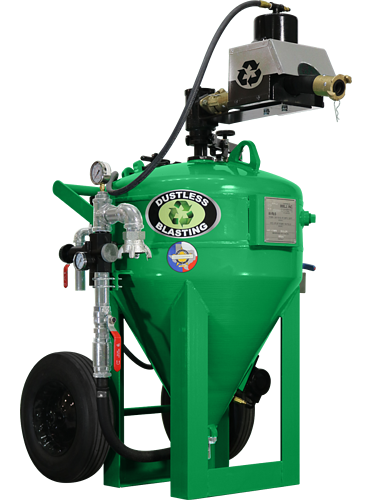 It holds up to 20 gallons of water and 200 lbs of abrasive which allows up to ~1 hour of continuous blast time. This machine works best with a 185–210 CFM compressor. Click and drag to rotate the 3D model. The tool you'll love for the jobs you don't.